“I was hungry and you gave me food, I was thirsty and you gave me drink, I was a stranger and you welcomed me” (Matthew 25: 35). While most countries around the world seem hyper-focused on security, the economy, education, jobs, housing, and justice (to name just a few important topics), there is a newly created governmental office in the United Kingdom that few saw coming. It’s the Ministry of Loneliness. Yes, loneliness. Not its promotion, of course, but an entire government office dedicated to reducing loneliness across the country. I think you will agree that Cold Spring Presbyterian Church is committed to addressing loneliness across our community, too. 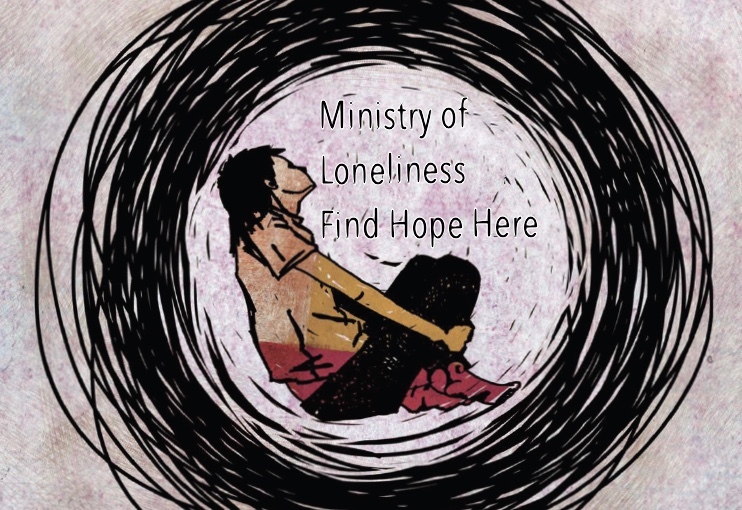 The Ministry of Loneliness was launched after a twelve-month investigation reported that nine million Britons suffer from loneliness: fourteen per cent of the population. The elderly and the young were both cited in the studies as particularly affected. And this loneliness diagnosis is not Britain’s alone. Japan has identified elder loneliness, too. What’s going on? Technology: All of our technology and communication improvements makes it easier and cheaper than ever to say connected, we are actually feeling less connected than ever! 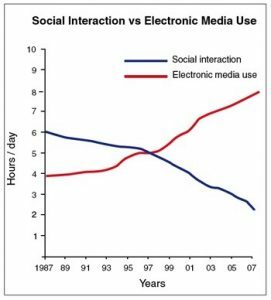 What we are learning is that as media/device use goes up, social interaction goes down. And making maters worse, our time spent on device is less about producing content or helping us pay better attention, and more about consuming entertainment. We have tools of communicating, which is great. But we are not very good using tools to help us connect to the people and places in our life that matter the most. Patterns of Behavior: We can be stranger-averse. That is, we can resist interacting and even noticing strangers in our community. From an early age we were admonished, “Don’t talk to strangers.” Stranger danger! Good advice. Well, for kids its absolutely great advice. Why? Because the developmental resources of a youngster is not sufficient for them to detect and defend themselves from danger. Their experience is limited. It’s necessary that children develop a sense of caution, especially around older kids and adults that could pose a risk. But we’re not kids anymore. In stores. At church. On walks. At the beach. From cookouts to sports, and even the more solitary activities like gardening and fishing, can find us creating zones of isolation. For example, my grandparents’ house had a front porch from which they freely connected to those that passed by. By contrast, nowadays we have moved our “front porch” to the back and call it a “deck.” We tend to listen to narrow bands of information that can unintentionally reinforce our own tightly held opinions that can’t benefit from an exchange of ideas and promote understanding and learning. How many strangers do we stop and talk to? Engage or Not Engage? Some of us just like to strike up conversations with others. Maybe our personality is more expressive. Perhaps we have had more trusting experiences with others that give us a sense of confidence and hopefulness that the next time we meet a stranger it will be positive. We may regard talking to strangers as polite behavior. But it can even be enjoyable to meet someone new and sometimes informative. Our learned resistance to welcoming strangers can unfortunately reinforce a culture of loneliness. We can go through our day feeling alone, even if we are surrounded by crowds of people. We can even feel like a stranger among a sea of strangers, unintentionally act distant, express distrust, and feel truly isolated. Extreme feelings of isolation are often associated with anxiety, fear, and depression. Because we focus our vision inward, we eventually feel stuck within our limited self-referenced experience. Organizations and even churches can promote a sense of loneliness, too. What can we do about loneliness? There is hope! What Does the Bible Say? From the earliest of times, the Bible urged that kindness be extended to strangers, and not just as they pass by, but to make strangers your friends. The Bible consistently challenges the status quo with paying attention to those who have been excluded. Consider:“You shall love the stranger, for you were once strangers in the land of Egypt”(Deuteronomy 10:19). “The alien who resides with you shall be to you as the citizen among you; you shall love the alien as yourself, for you were aliens in the land of Egypt: I am the Lord your God”(Leviticus 19:34). Take a Step. We can do something today to make a difference in our community, especially for those who may be experiencing severe loneliness. According to Talk-To-Me-London, a non-profit organization established several years ago to promote community building, we need to challenge existing norms around talking. Try these suggestions. Just begin to talk to strangers.It’s risky, but if you try, you might experience very positive outcomes! This advice is often overlooked because it’s just too simple of a solution, but doing so can help a person who feels isolated to make a new connection. Think about yourself.Think about what you would like more of – maybe time with friends or family, if so invite others with you. Often if you are lonely you think people do not want to visit. This is understandable but often people will respond to an invitation and will come and spend quality time with you. Pick up the phone, reach out! Take care of yourself.If you can do something to improve your health, take small steps to eat well, take gentle exercise and keep active, all of these things can help you to relax more fully in your own company. Get connected.Take a walk. Go to worship. Volunteer. Cold Spring Church has many activities that can be perfect places to meet new people. Volunteer to help others get ministry goals accomplished. Check our calendar for activities that are already scheduled. Cape May offers abundant activities, centers, and groups. Walking groups and tours. Singing groups. Book clubs and even bridge. If you feel very lonely, speak now to a health worker.Long term loneliness could contribute to later depression and other health problems. Your GP, primary care physician, should be able to direct you to local services that can help. Every friendship you value now initially started as conversation with a stranger. Imagine the possibilities. Talking to strangers can help create a better world. Jesus’ mission was to show us what a real friend is like (John 15:13). Remember that God loves you (John 3:17-18) and Jesus “moved into the neighborhood” (John 1:14), and into your home, among your family and friends, to bless your life (John 10:10). “Behold!” Jesus said, “I am right there at your door.” Ready to bless your life. Just open the door and you will find that amazing, abundant, hopeful life that lasts forever! (Rev. 3:20ff). It is hard to change people’s attitudes about talking to strangers but we can all do our part in bringing about more conversations between strangers. So let’s continue to be welcoming and innovative as we organize activities that create spaces where people feel freer to talk, and by working with others across our community, we can raise awareness of the importance of talking to strangers. As our tagline says, Cold Spring Presbyterian Church, Energizing Spirits. Transforming Lives.